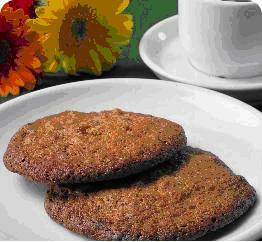 Here is a basic Norway coffee cookie recipe. Mix suger and butter until smooth in a food processor. Add additional dry ingedients and mix thoroughly. Add the egg, flour, vanilla extract and baking soda. Then add the coffee, nuts, and chocolate. Drop or put the dough with a spoon onto baking paper or greesed cooking sheet. Mari is a self proclaimed Norwegian Coffeeaholic:) , having lived with coffee her entire life, she is the owner and maintain of the Organic Planet Coffee and Tea Forum. An integral part of the Organic Planet Coffee and Tea Admin Team, writes articles and research for the Organic Planet newsletter Brews N' News and various other places.